Parisian housewife, Raymonde Chandebise, doubts her husband’s fidelity after he becomes sexually inactive. Confiding in her closest friend, Lucienne, they concoct a plan to test his loyalty, involving a fictitious letter from a secret admirer. Georges Feydeau’s 20th century farce unfolds between a comfortable study and the notorious hotel Coq d’Or, where a libidinous Persian in the closet and a drunken bed-hopping uncle are ingredients for a raucous romp. The large cast bounce with energy, but this is sometimes at the detriment of clarity and cohesion. Key plot points expounded in the opening scene are hard to grasp due to diction, audibility and the fast pace of the dialogue. Particularly of note, a mishap with some braces and the function of a moving bed are both integral to the play’s comedic effect but are not given the necessary emphasis by the actors and are easily missed by the audience. The opening scene also fails to establish the relationships between various individuals which prevents the audience from appreciating the hilarity of their entanglement. The opening of the second act of the play is far clearer and is well-received by the audience, aided by the comic intervention of Thomas Witcomb as ex-military hotel manager Ferallion. Sonoko Obuchi’s vibrant set design clearly distinguishes Chandebise’s house and the vulgar hotel. The set makes full use of the large space at Theatro Technis, which perfectly caters to the characters’ escapades. Watching the set change in the play’s two intervals is a spectacle in itself, with a large team appearing to move furniture and with loud drilling taking place to attach and remove partition walls. While this is a minor issue, it seems slightly unnecessary. A more imaginative set would avoid excessive resets and the inconsistencies in staging that later ensue. Amidst all the mayhem, the actors (understandably) commit a schoolboy error, struggling to uphold the illusion of a corridor which links the bedroom and bathroom door. 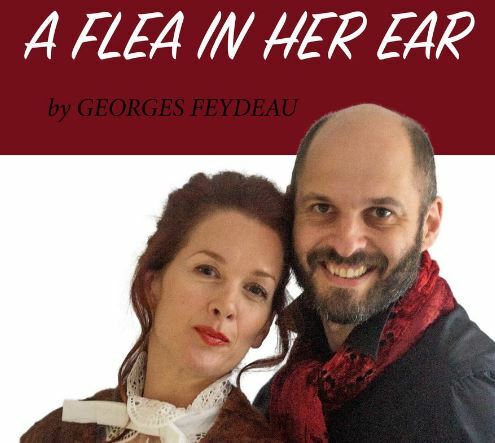 A Flea in her Ear is dialogue heavy, but the ensemble presents an excellent feat. Michael Claff as both Chandebise and Poche brings a physical humour to the characters alongside the loveable nephew, Camille, played by James Bruce who gives a standout performance. Although stereotyped, exaggerated characters are key to farce, it would be nice to see more variation between the reactions of the other characters to the ludicrous occurrences. There is lot of shouting and screaming which is quite tiring by the third act and detracts from the humorous rampage of the enraged Spaniard, Hominedes (Andre Pinto). This absurd farce takes us on a long, chaotic journey with a plot that has the potential to induce uncontrollable laughter. For the audience to appreciate the fantastic dramatic irony of this play, the actors must ensure that the audience is in on the joke. With more attention to this, Acting Gymnasium have the basis for a highly entertaining production. In the palace of Theseus, Lysander and Demetrius fight for the hand of fair Hermia. Unfortunately Hermia loves Lysander, Hermia’s father wants her to marry Demetrius and Helena, Demetrius’ spurned lover, is still pining for him. Hermia and Lysander run away to be married, followed by a desperate Helena and a determined Demetrius. However, they are all soon lost in a wood which is, unbeknownst to them, filled with mischievous fairies and magical flowers. This is one of Shakespeare’s most famous comedies reimagined in a music festival, certainly a setting for a contemporary audience. There are some fantastic performances. Michael Claff as Oberon is the stand out performance of the night. The text feels natural in his mouth and he elevates the play every time he sets foot on stage. Robert McLanachan is charmingly convincing as Peter Quince. Thomas Witcomb as Bottom brings an infectious pace and energy to the stage and is particularly strong when playing Pyramus. Lisa Lynn as Helena is bold, funny and unapologetic, instantly likeable. Dorian Hasani brings a lovely playful quality to the role of Lysander, reminding us that this is, after all, a comedy. There are also some lovely moments where the whole cast comes together onstage. However, in general, the actors need to remember to respond to each other. Whilst Theseus’ lines are strongly delivered, he does not respond to or acknowledge the sexualised Hippolyta’s gestures. Puck is eloquent but unexciting, and there is nothing unique about his performance. Titiana improves over the course of the play, but fails to establish her regality and gravitas on her entrance. Like her counterpart Hippolyta, she is a heavily sexualised character, but this makes her seem weak if she is continually moving around the stage, circling and following Oberon like the spaniel Helena begs Demetrius to let her be. There is power in stillness, something the success of Oberon’s performance is clear evidence of. It is particularly vital that Titania achieves this sense of royalty and power early on, in order for her debasement (falling for a man with a donkey’s head) to be truly effective. 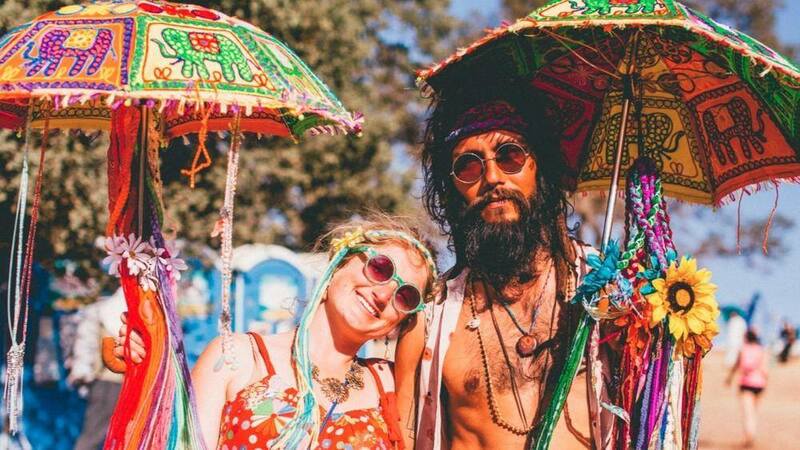 Whilst the music festival theme works to some extent, it would have been considerably more effective if it had only been used in the forest, and had been approached with a higher level of commitment. In some scenes it was cleverly referenced and well captured, whilst in other scenes I forgot about it all together. I think the play would be helped by clear differentiation between Theseus’ court in Athens and this magical, fairy-filled forest which is only remembered as a dream. The theme also needs to be investigated more specifically, both aesthetically and in terms of the range of music used by the production which jumped from genre to genre, and made the piece feel thematically incohesive. As a whole, the piece lacks cohesion and direction. People are often blocking one another, and there seemed to be a tendency to push the action to the edges of the stage, sending the actors’ faces half into darkness at points. Lines were occasionally lost under the music, and many of the comedy moments were sexualised, sometimes effectively, sometimes unnecessarily. It is important to remember that the play is already funny. In trying to find new comedy within the music festival theme, much of the innate comedy of Shakespeare’s writing is lost. The play ends on a high, with the mechanicals’ play within a play. Snout (Andre Pinto) as the wall is particularly funny, and the slapstick visual comedy is well-timed and a comic highlight of the piece. The actors work well together and it is a fantastic way to finish the play. Credit must be given to the play’s commitment to making language which is often perceived as impenetrable, seem accessible and relevant, and it is refreshing to see such a large cast comprised of so many different nationalities (twelve to be precise). This is a production that is in desperate need of greater cohesion and direction, but is supported by some stand out performances and lovely comic moments.